It's been just under a year since Microsoft released Windows 8 which received a distinctly mixed reaction. However, it’s good news as Microsoft have announced that the first major update is on its way! The most radical change has to be the return of the Start button. I'll discuss more about this feature a little later on. The company has further announced that they’re going to be adopting a similar approach to Apple, in which updates are released on an annual basis. Some see this update as 'Windows 8 - Service Pack 1' by which they mean there are significant updates, but it's not a radical shift to a new platform. As mentioned in the first paragraph, the biggest and most radical change for Desktop users is the semi-return of the Start button and menu. Shaped like a flat Windows flag, and located in the bottom left hand corner, the Windows 8.1 start button links you to the Metro Start screen; which unfortunately, is still pretty useless for Desktop users. 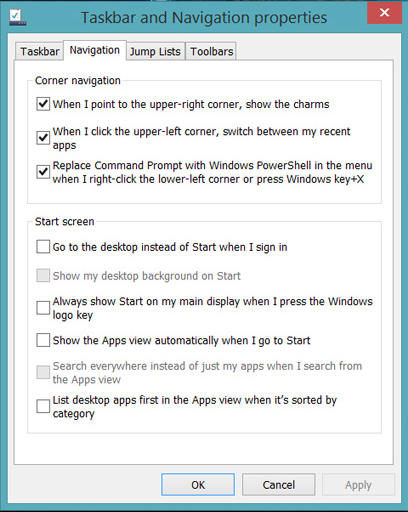 However, a new tab located in the taskbar properties allows the user the configure the Start button to pop up the Metro Apps view instead. Pretty neat, huh? Although the mouse and keyboard still seem pretty redundant for Desktop users, the new Metro Apps view is arguably the best addition to Windows 8.1. This view shows you every app (both Desktop and Metro) in an alphabetically listed order. However, sorting the apps by 'most used' makes the Metro view much more usable. Furthermore, typing on the Apps view basically provides you with a full-screen version of Windows 7. By this, I mean you can easily bring up anything and everything - ranging from apps to files, or even settings. Changes to the Start screen, you say? Of course! The main Start screen now allows you to select from 4 different tile sizes - large, wide, medium and small. Some apps have also been included by default with Windows 8.1, including SkyDrive and the highly anticipated Internet Explorer 11. The new web browser promises a better performance through WebGL support along with other smaller and less significant tweaks. Windows 8.1 will be free to existing Windows 8 customers who can currently download the preview version from Microsoft’s page, here. What are your thoughts? 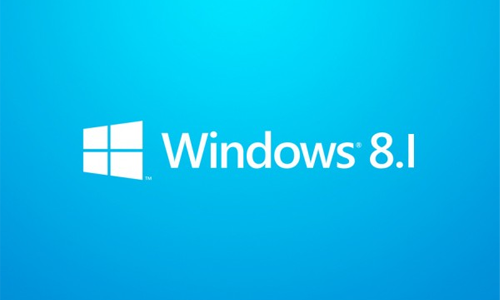 Do the features of Windows 8.1 sound appealing to you? Let us know below.